As I said in my Ableton Loop presentation, all presets are open-source, so the best way to get inside the head of a sound designer is to examine their presets. In addition to the Korg Prologue, Ableton Live 10, and Dave Smith's new Prophet X this year, I've also been working on custom packs for synths you may already own, like AAS Chromaphone 2 and the upcoming pack for Serum - Toolkit 3. 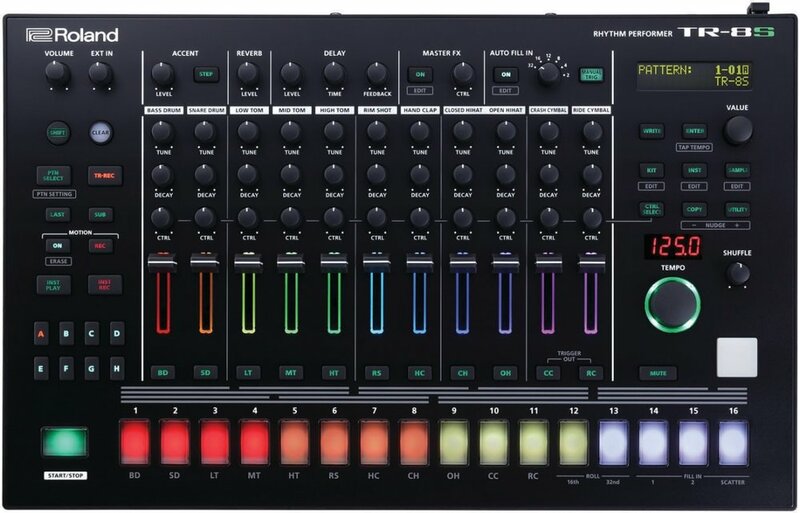 The recent Master Class for the Roland System-8 goes into a lot of detail about the synthesis tools of Roland's flagship AIRA synth. It's worth a read if you haven't seen it yet, as it covers a lot of detail about the innovative oscillators and filters. Since the System-8 is one of my favorite synths (combining the new AIRA engine with legit emulations of the Jupiter-8 and Juno-106), we decided to create a preset library devoted to my favorite genres: Synthwave, Synth-pop, and New Wave. Joining forces with Jim Stout of Carma Studio—a true star of the sampling and sound pack world—we spent a solid six months creating this library. Rather than marketing-talk, I'll let the above video speak for itself. Synthtopia had some strong coverage for the library, as it's the first collection to include presets for all three of the AIRA synths with full compatibility both the System-8 and Roland Cloud. And because Jim and I wanted it to be affordable for bedroom producers, we kept the price under $20. PS: Several fun tutorials coming next week. Stay tuned!